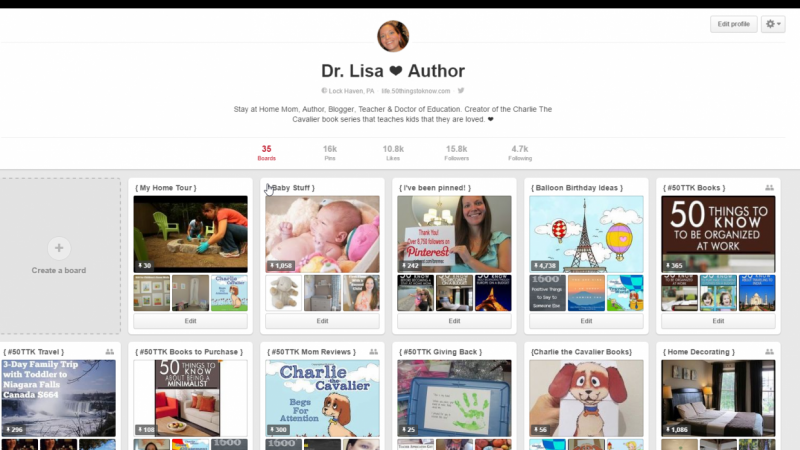 Lisa Rusczyk ❤️, Teacher, Author, Crafter, Blogger, & Ed. D.
In this class you will learn Pinterest setting, how to pin, and how to earn more Pinterest followers. Enroll now and lets get started. Share your pinterest board will the class. View and follow others boards. Comment on a board that you like and why you like the board. Teacher, Author, Crafter, Blogger, & Ed. D.
I have self published 300 books, have over 50 classes, and have many of my social media post gone viral. While I earned a doctorate in Educational Leadership, I love to teach online only on Skillshare while I am a Stay at Home Mom. I enjoy creating, reading to kids, and hanging out at my local coffee shop to play Settlers of Cantan with friends.